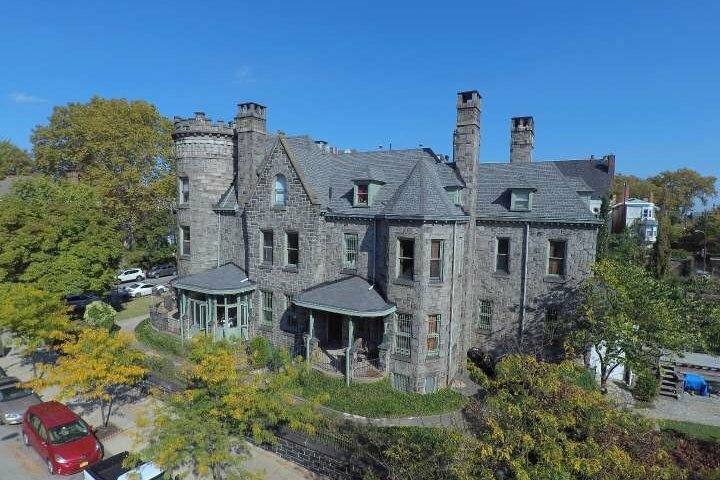 'The Castle' in Powelton Village. The Duke or Duchess of West Philadelphia has a nice ring to it. 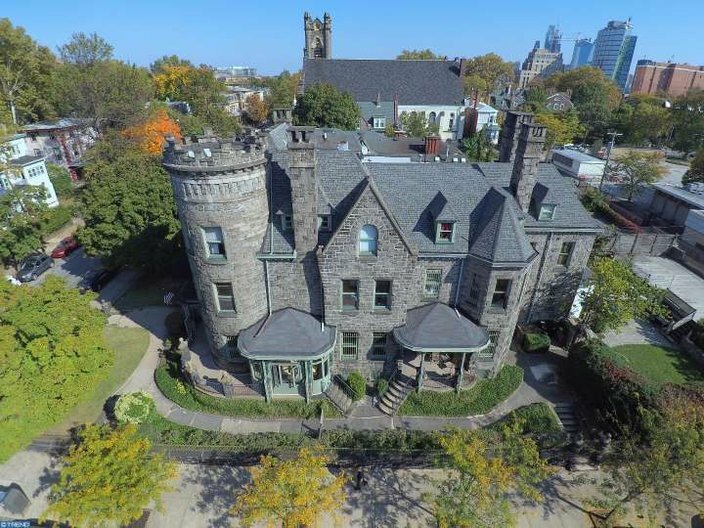 That title would presumably be yours if you purchased "The Castle" in Powelton Village (h/t Curbed Philly). Located at 3512 Baring St. and built in 1816, the property is currently set up as an apartment building, according to the castle's real estate listing on Estately. 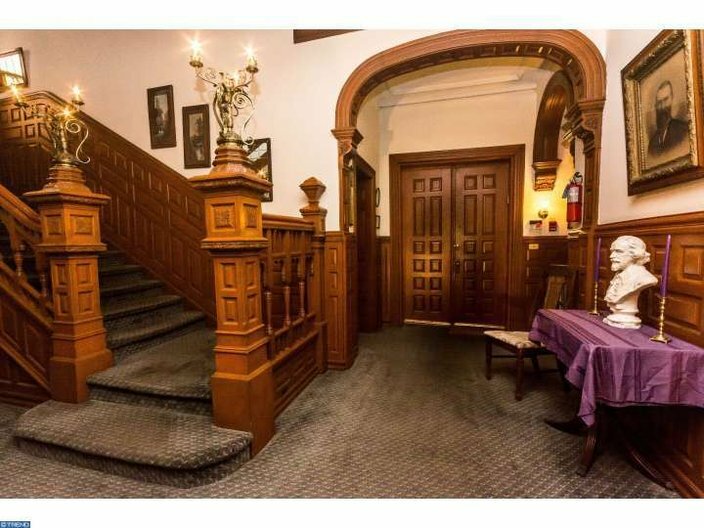 This one of a kind investment property known as "The Castle" has 8 updated apartments with high ceilings, crown molding, and many other unique features and details throughout and in each unit. The hallway and many units have stained glass windows along with solid wood interior window treatments and shutters. Out back there is an attached 6 car enclosed parking garage with direct access into the building. The huge deck above the garage is surrounded by a beautifully manicured yard. 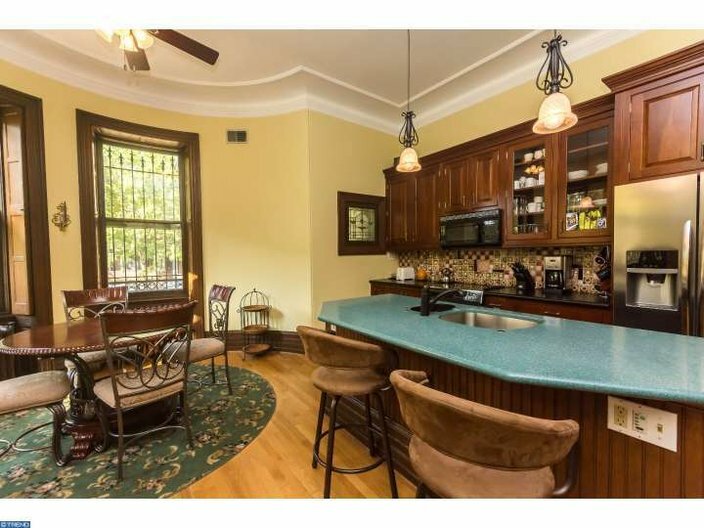 This one of a kind property is highly sought after and rents itself. 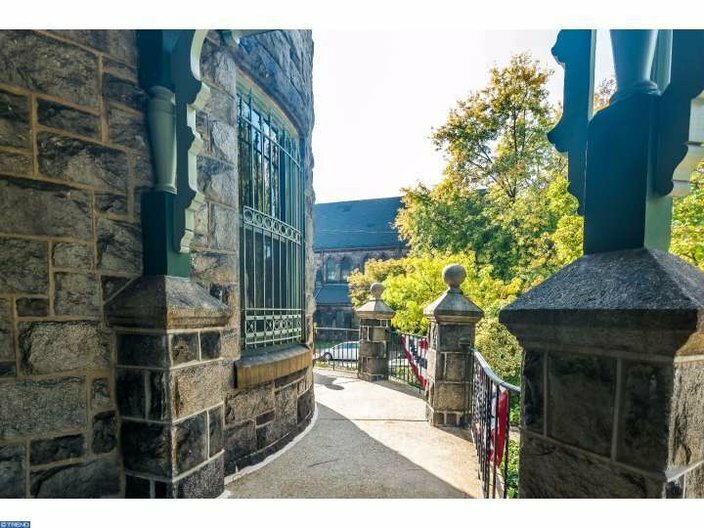 On the porch of 'The Castle' in Powelton Village. Renting out apartments is obviously the more financially responsible option, considering the property is currently listed at $2.899 million. 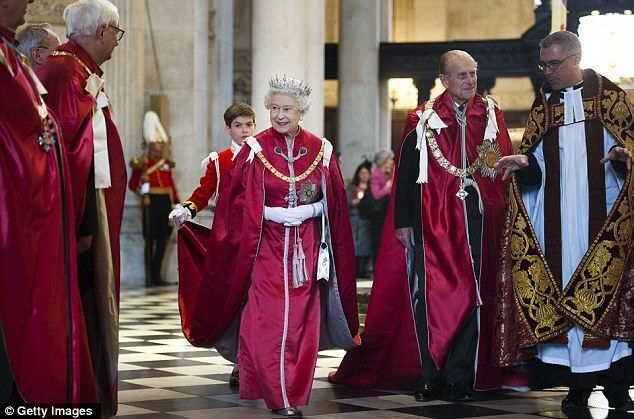 But if you're willing to dish out that much cash for a freaking castle, may I suggest instead dressing in regal attire, hiring the crew behind Medieval Times to inhabit the residence and declaring yourself monarch of the neighborhood? 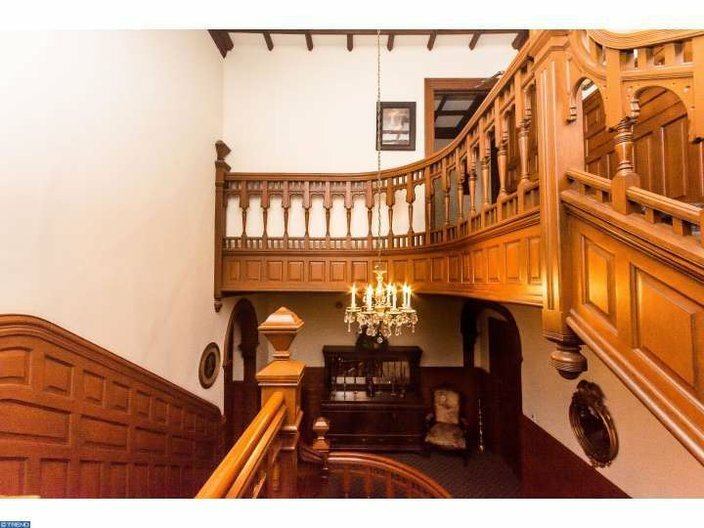 Inside 'The Castle' in Powelton Village.